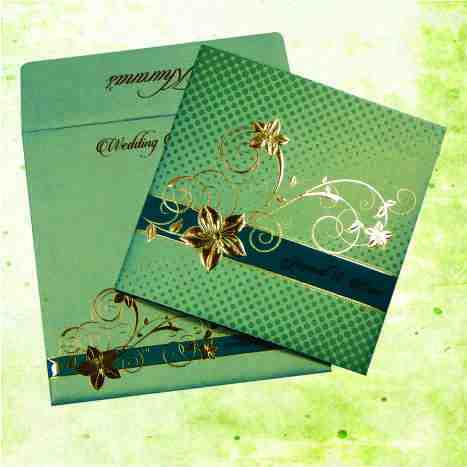 ENVELOPE : Light Green Color 250 gsm Matte Finish Paper. MAIN CARD : Light Green Color 250 gsm Matte Finish Paper. Laser cut Floral pattern on the Main card. Main Card made In Pocket style.